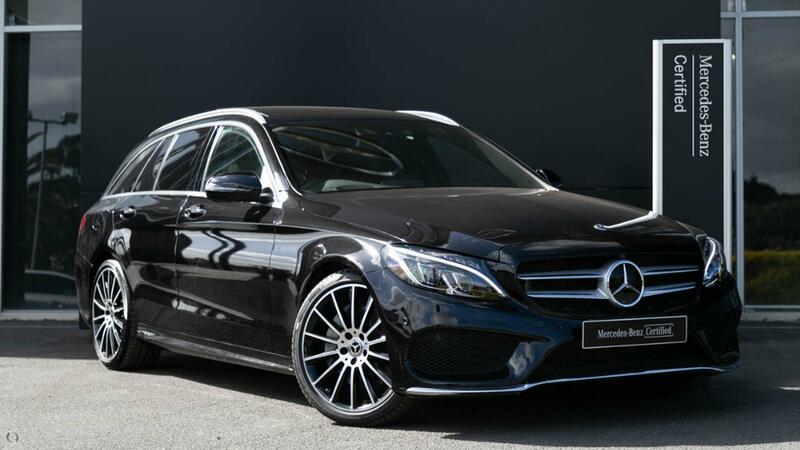 Australia's Most Awarded Mercedes-Benz Retailer proudly presents this very highly specified C300 AMG-Line Estate featuring Fully-Factory-Backed Warranty right through to June 2023! Perfectly presented in sparkling Obsidian Black Metallic with Vision Package including Head-Up Display and Panoramic Glass Sunroof, Seat Comfort Package with Heated Memory Front Seats, COMAND Package with LINGUATRONIC voice activation and the full suite of AMG-Line appointments including Sports Seats, Pedals and Steering Wheel. Take the wheel of your incredibly capable C300 Estate with absolute confidence - ONLY from a Certified Mercedes-Benz expert and the reigning "Mercedes-Benz Metropolitan Dealer of the Year" again, for the 5th time in 6 years! - PRE-SAFE PLUS, BAS PLUS with cross-traffic assist.